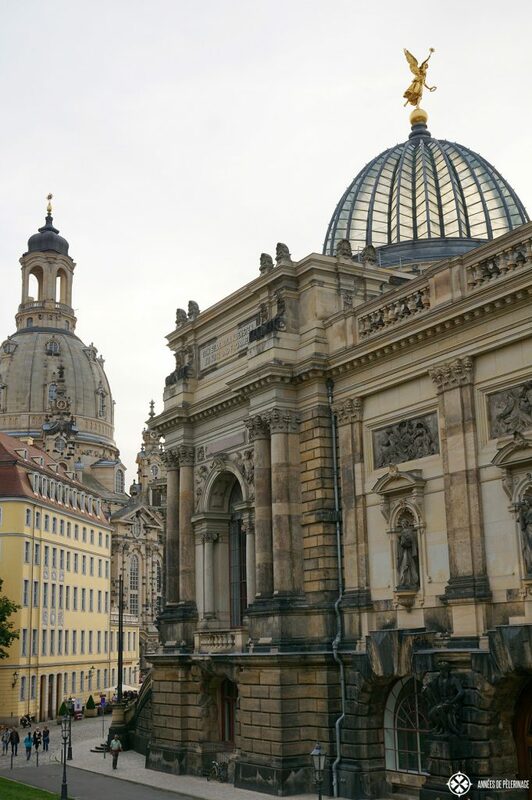 A list of all the highlights and must-see places in Dresden. 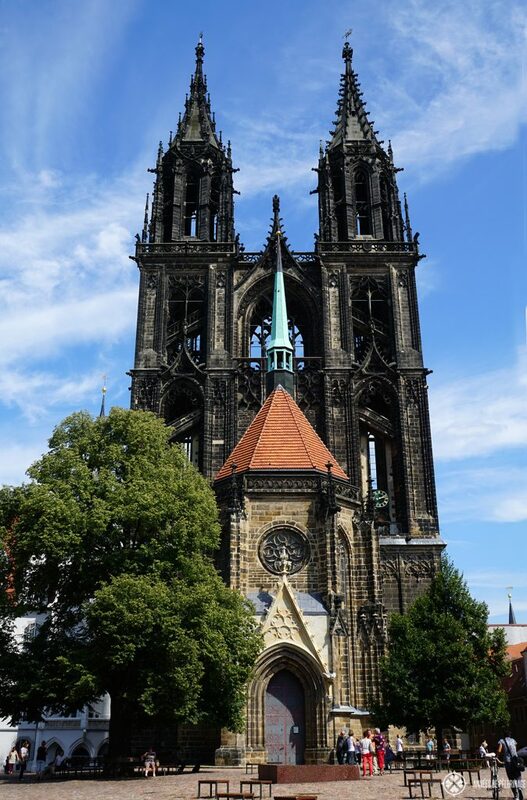 One day or a week, Saxony’s capital offers baroque castles, churches, and lovely day trips. Did I ever tell you that I have been in Dresden a million times? I just love that city so much! Germany is big and has so many highlights, but few cities can compare with Saxony’s capital. 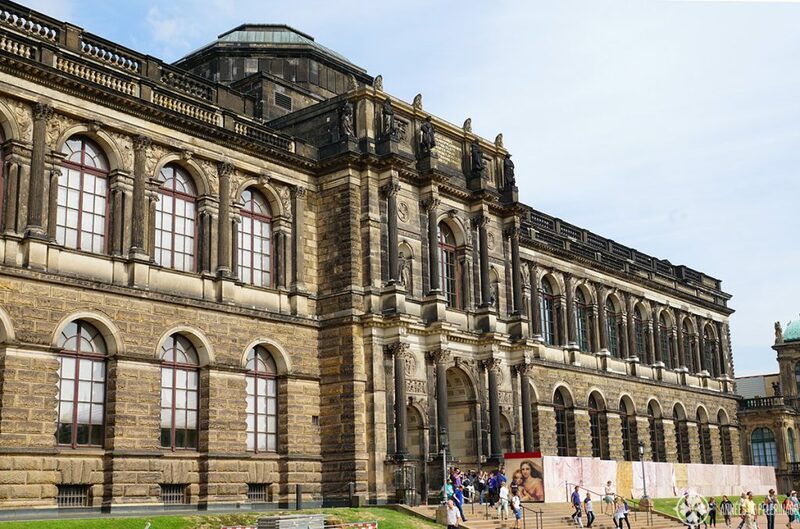 There are just so many things to do in Dresden! Fine art, baroque splendor, concerts & festivals and a lot of students – the city on the banks of the river Elbe is the perfect mixture of young and old, tradition and innovation. My grandma lives very close to Dresden, so I visit at least twice a year, if not more. Yet, I never really wrote about my stays because they are just so natural to me. Each visit is certainly special (and there are always new things to see on each trip), but I never saw the city from the perspective of a tourist, more like my second home. Well, I thought it was about time to change that. 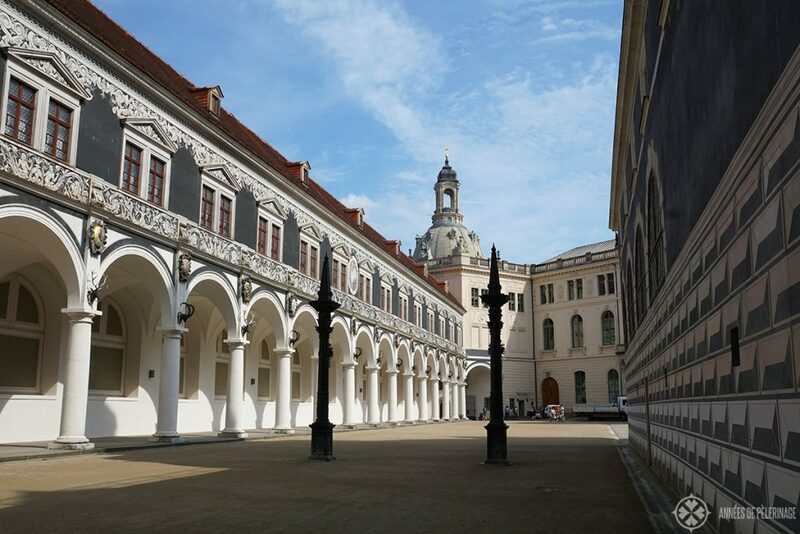 Here are my favorite tourist attractions in Dresden. 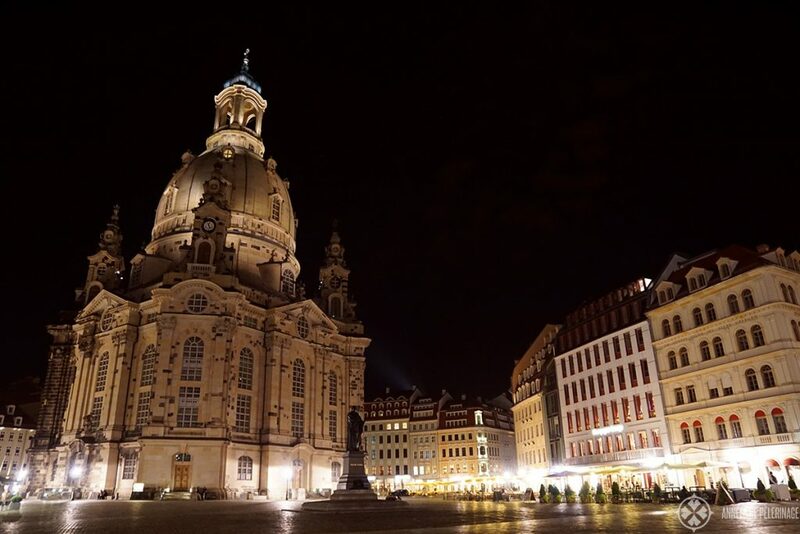 There is probably no doubt: The Frauenkirche (Church of Our Lady) is the most iconic sight in Dresden. The building is just so outstandingly beautiful. Definitely do go inside, as the interiors are just as amazing. The inside consists of balconies, upon balconies for the devotees – quite a peculiar, but nonetheless beautiful, sight. Absolutely do visit the church at night, when it is illuminated by thousands of lights. It is also the best time to contemplate the true significance of the church. The church once was a Catholic church but became Protestant during the Reformation. Then it was bombed during WWII. The ruins have been declared a memorial against war during the communist era and were left as they were. Starting from 1985 the reconstruction was funded by an unparalleled effort by private donors. 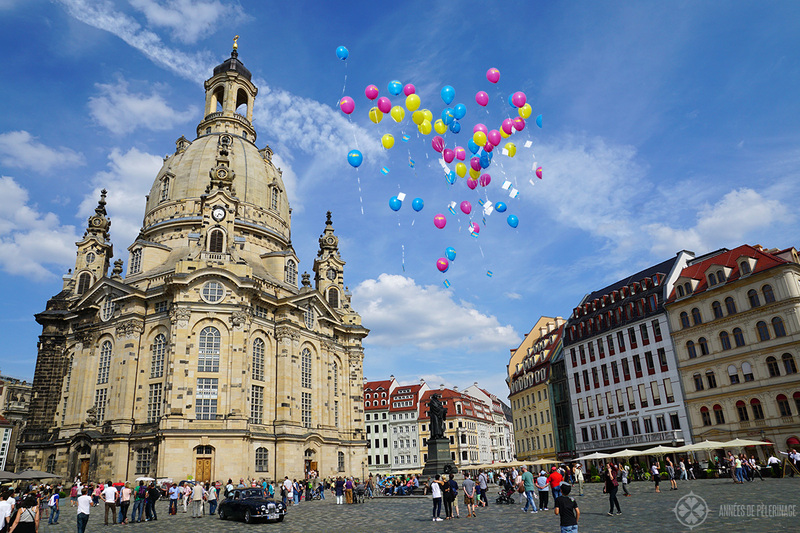 As a result, the Frauenkirche quickly became one the symbols for the German Reunification. So while you marvel at its architectonic beauty, do remember its history as well. Head out to the official website to plan your visit. Very close to the Frauenkirche you will find another of Dresden’s unique highlight: The Grünes Gewölbe (Green Vault). Some claim it is, in fact, the oldest museum in the world (being founded in 1723). While this might be debatable, it remains without a doubt that it is home to the largest collection of treasures in Europe. There is a sheer endless mass of rooms filled with priceless artworks made from gold, silver ebony, and the finest precious gems to admire. The Grünes Gewölbe is located inside the former Castle of the Kings of Saxony and now one big museum. So there is actually more than just gold and silver, but also other very unique exhibitions. The good part: The museum is very new (some parts are still being reconstructed) and so the presentation of the various objects is very, very modern and not in the least dull. Do go for the tons of gold to see, and leave with an intimate glance into Saxony’s opulent history. If you want to see the historic part, you absolutely need to buy your tickets in advance as they are severely limited. You can do so in the official ticket shop here. 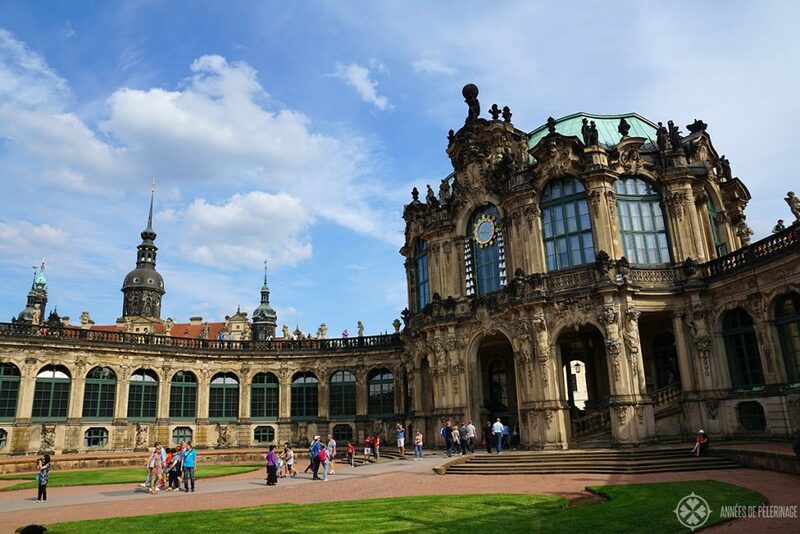 Dresden is home to an abundance of museums, amazing Baroque-style architecture, and a very mild climate. That’s why it is often called “The Florence of the River Elbe” (Elbflorenz in German). Sounds strange? Head out to the so-called Brühl’s Terrace and you will quickly see why! But don’t stop there and do explore the rest of the old town as well. There are numerous highlights within walking distance and each more beautiful than the other. Definitely, plan for a stop at one of the many cafés and sample the famous Saxon cakes. Insider tip: A cake called “Eierschecke” (some kind of very fluffy layered cheesecake) is probably the most famous thing you can eat at a bakery and my personal favorite! 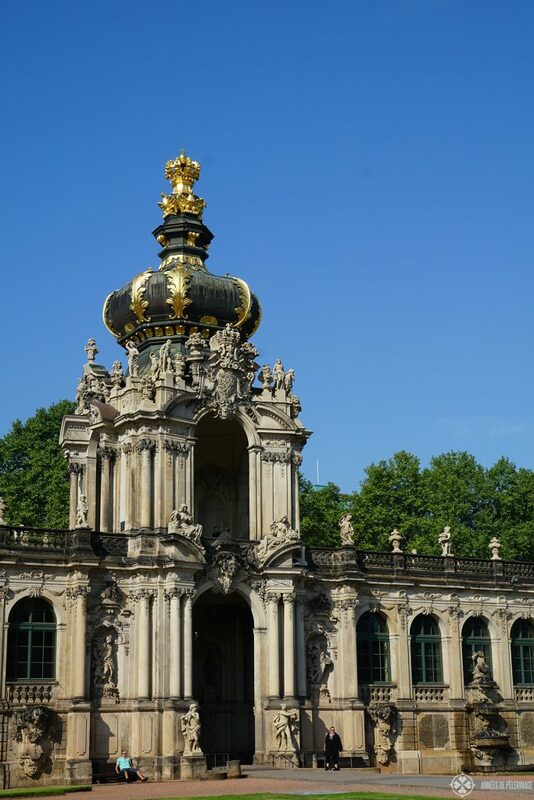 On your walk through Dresden, you have to stop at the Zwinger. The unique Rococo-style palace from 1728 is home to three outstanding museums. Even if you don’t plan to see these (which really would be a shame), the castle itself and its inner courtyard are beyond divine. Some even call it ‘Dresden’s finest architectural moment‘. It certainly should have a fixed spot in any Germany itinerary. As the place can be very crowded, I’d recommend you to go very early in the morning. The museums inside, are usually quite empty. Ah well, maybe I am the only one who just loves porcelain and ancient physical contraptions. No? 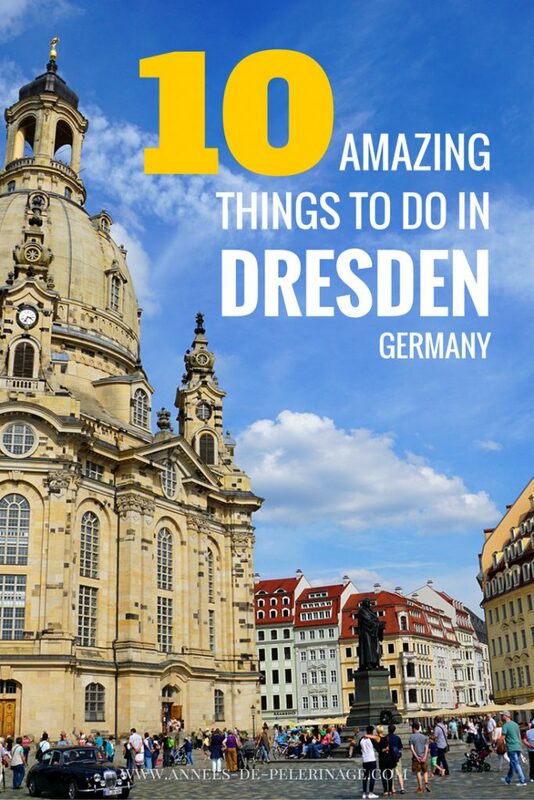 Then put it on your list of things to do in Dresden! Find more information here. There is one museum inside the Zwinger you cannot ignore: the Gemäldegalerie Alte Meister (Old Masters Picture Gallery). More than 750 paintings from the early 15th century up until the 18th century are on display. Among them Raphael’s famous Sistine Madonna, but also the world largest collection of paintings from Lucas Cranach and other world-renowned masterpieces. As the Gallery has more than 500.000 visitors each year, it pays off to buy your tickets in advance. Here’s the official link. Another iconic building is the Semperoper. 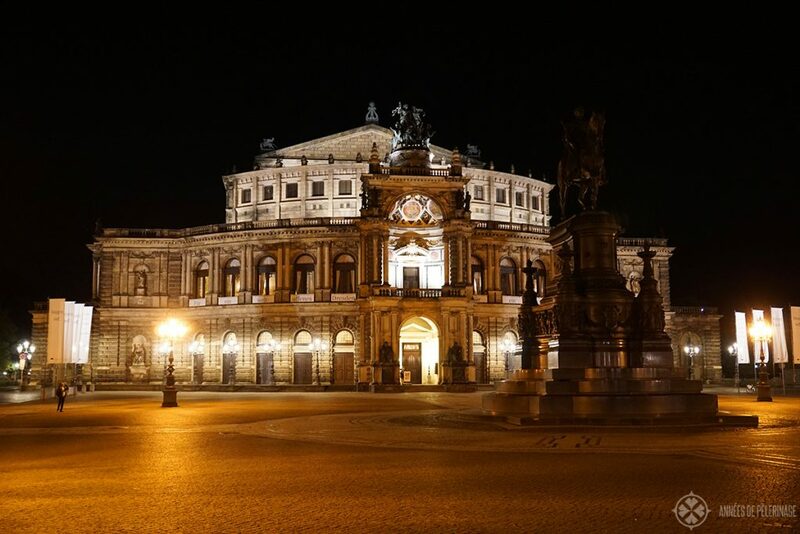 The opera was (much like the rest of Dresden) destroyed during WWII. 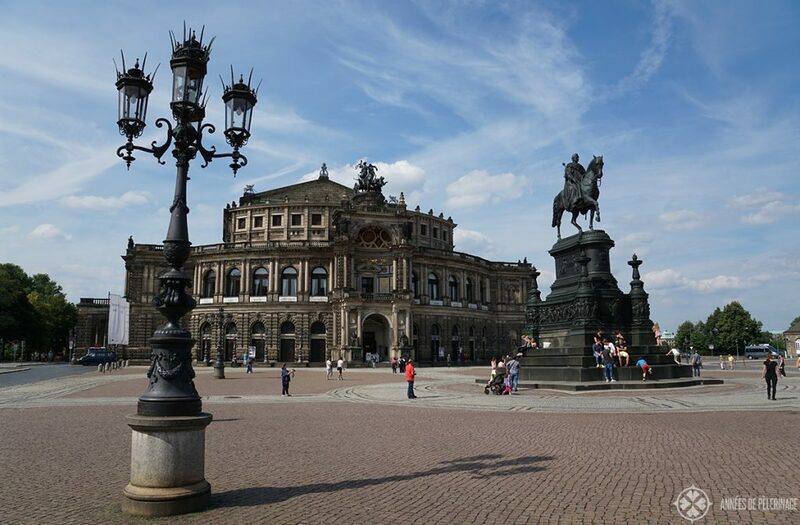 The reconstruction was finished in 1985 and ever since it is one of the most important opera houses in Germany. The opera critic in me has to admit, that Berlin and especially Munich are so much better in terms of performance quality, but the building itself is beautiful beyond belief. Even if you don’t plan to see a performance (it is usually possible to get tickets at the box office in the little building at the front of the square), you should go inside. During the day there are multiple tours where you can marvel at the interiors. It will not be the same as seeing the opera houses as it’s meant to be (meaning full of people in black tie), but still worth your time. You can buy tickets here. 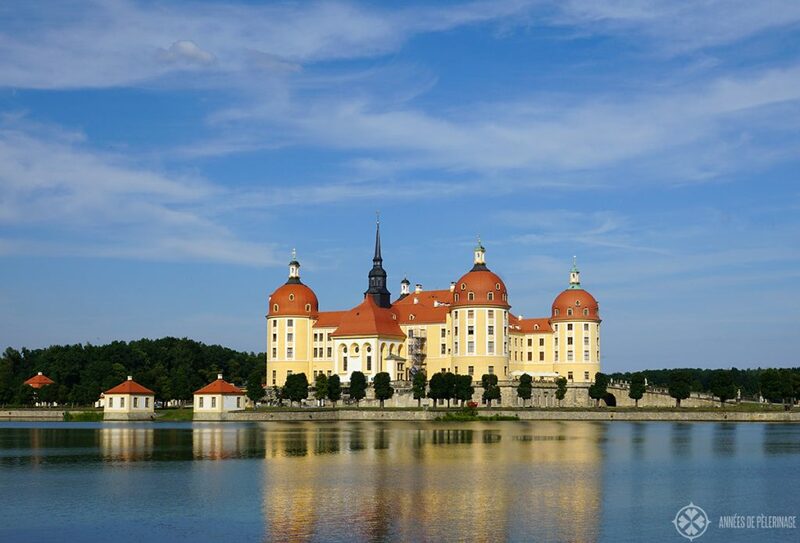 No matter how short your stay in Dresden is, you should definitely visit Moritzburg. It is one of the most beautiful water castles in the world and only a 20 kilometers away from the city center. The castle was built as a hunting lodge and even today a little zoo is part of it. One of the best day trips from Dresden is the city of Meissen some 30 kilometers away. The city was founded in 929 AD and is packed with history and a pristine medieval old town. 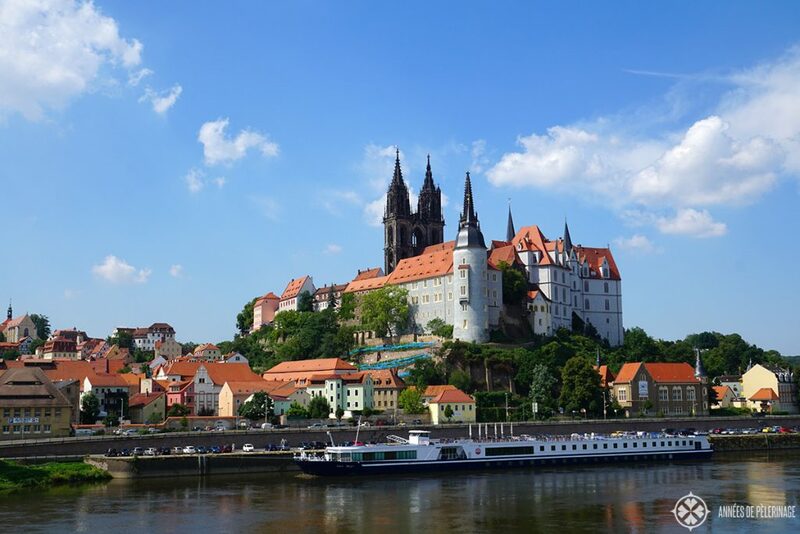 You certainly should visit the beautiful castle looming over the pristine old town of Meissen. The interiors are outstanding as is the beautiful church. Actually, the church is my favorite part of Meissen. But there is also a wonderful museum inside the castle (mostly about the history of the city and the German Reunification where the castle played an important role). But also consider visiting the porcelain manufactory a little outside the city center. 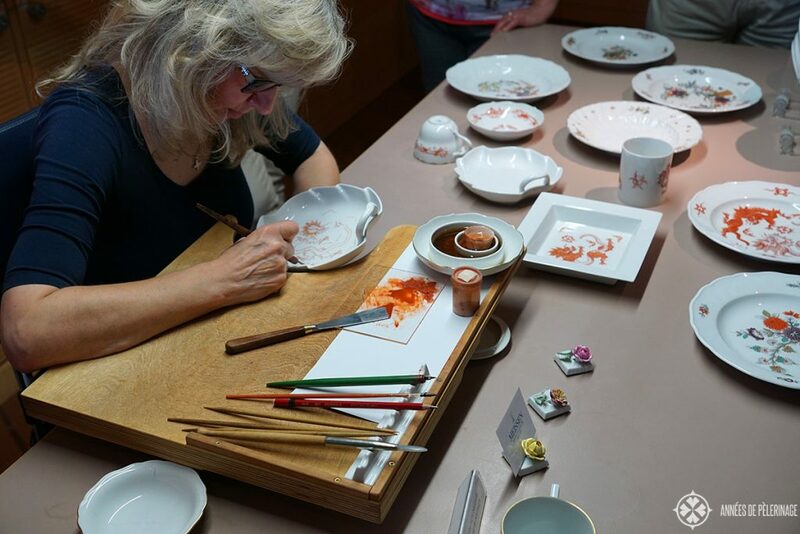 Maybe you didn’t know it, but Meissen is the birthplace of the European porcelain. There is no finer porcelain to be had than Meissner porcelain (it’s, in fact, world famous and highly prized among collectors). It is possible to visit the workshop and watch the production process. Find more information hereFind more information here. 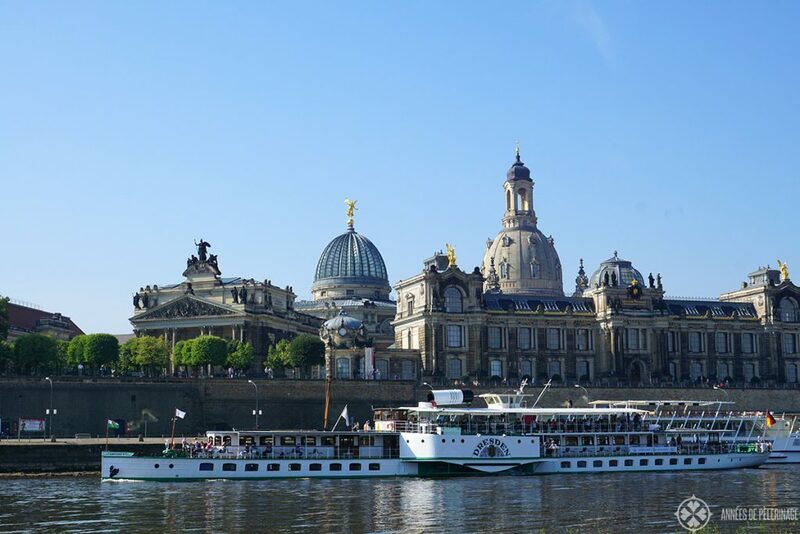 You’d have to be blind and deaf to miss the unique steamboats plodding the river Elbe. The valley surrounding Dresden is a former World Heritage Site, but the status got revoked after a new and quite controversial bridge was finished a couple of years ago. It is still beautiful and you should definitely do a little trip on one of the famous steamboats. There are even a couple of day trips available, though shorter trips of an hour are also an option. Here’s a link to the official website. 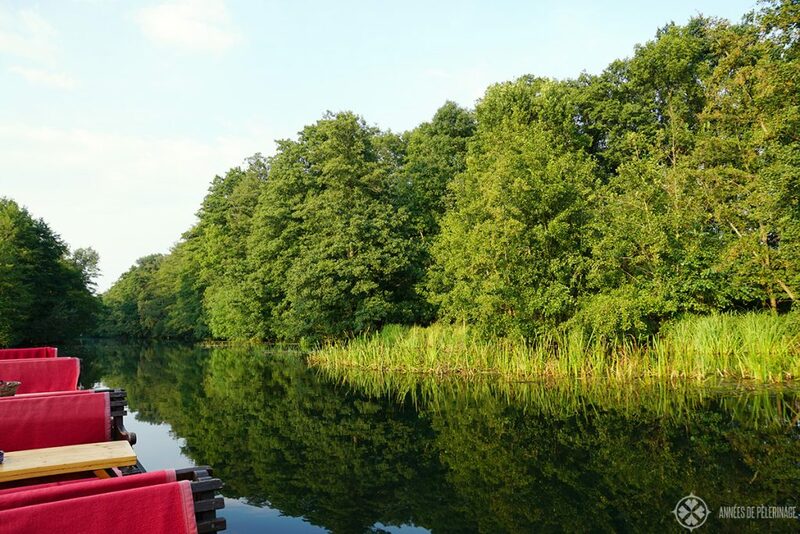 Depending on how long you stay in Dresden (personally I’d say 4-5 days would be prudent), you should consider doing a day trip to the famous Spreewald forest. 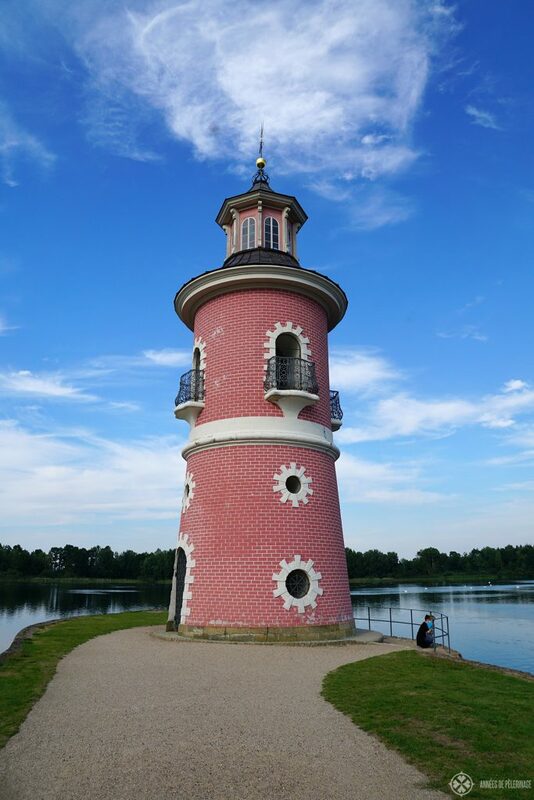 This designated UNESCO biosphere reserve is only about an hour’s drive away from Dresden. Why should you go? Because of the picture perfect waterways crisscrossing the unique landscape. There are a lot of tiny little towns and villages – each more pretty than the next. But you can also see undisturbed nature and amazing wildlife. 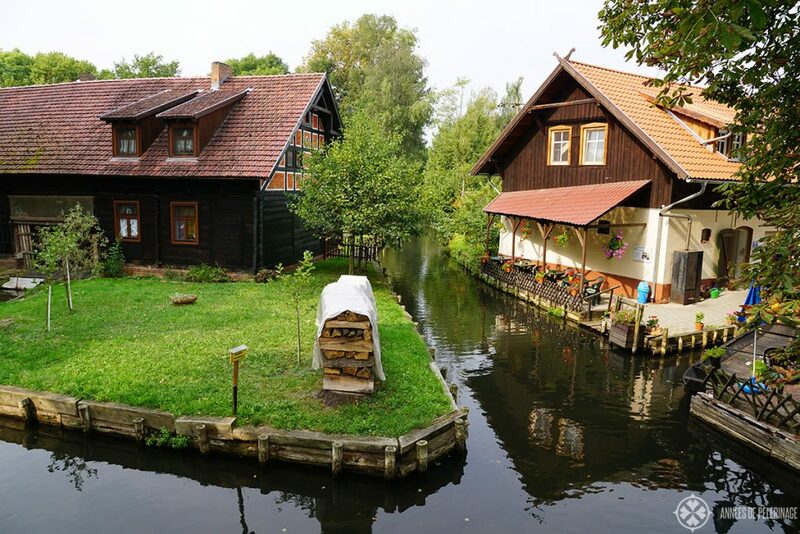 I wrote an extensive article about my stay in the Spreewald here. 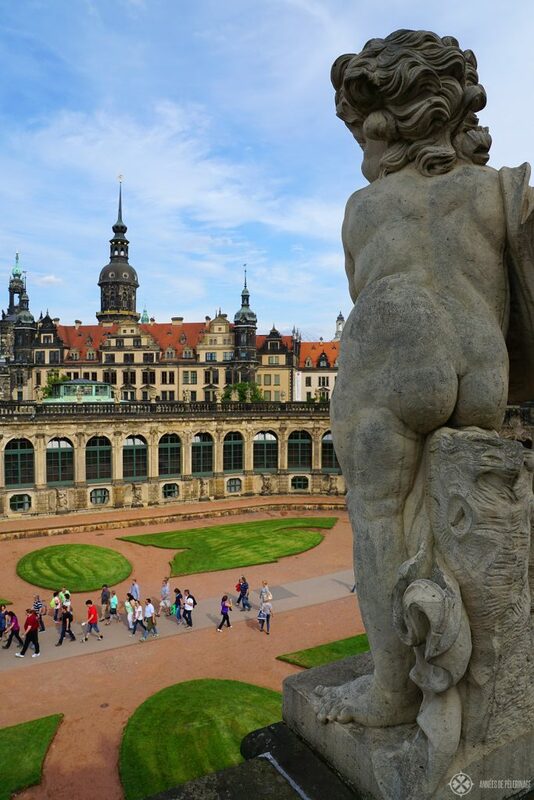 I promised 10 amazing things to do in Dresden, but there was one item I simply couldn’t skip. Winter in Germany is a magic time as there are Christmas markets all over the country. There is an ongoing debate among tourists and locals which are the most beautiful ones I won’t be able to resolve here with one picture and a couple of lines. 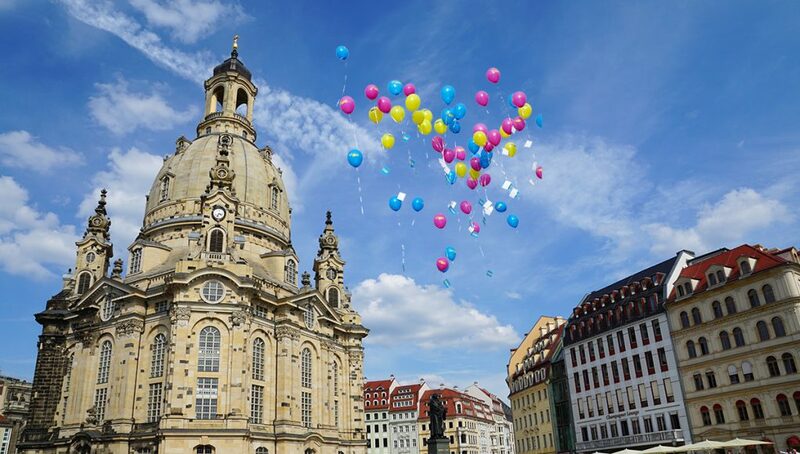 Still, Dresden is always among the top candidates, as it is one of the oldest (it dates back to 1434!!!). Do check out my post on Christmas Market in Munich as an alternative. 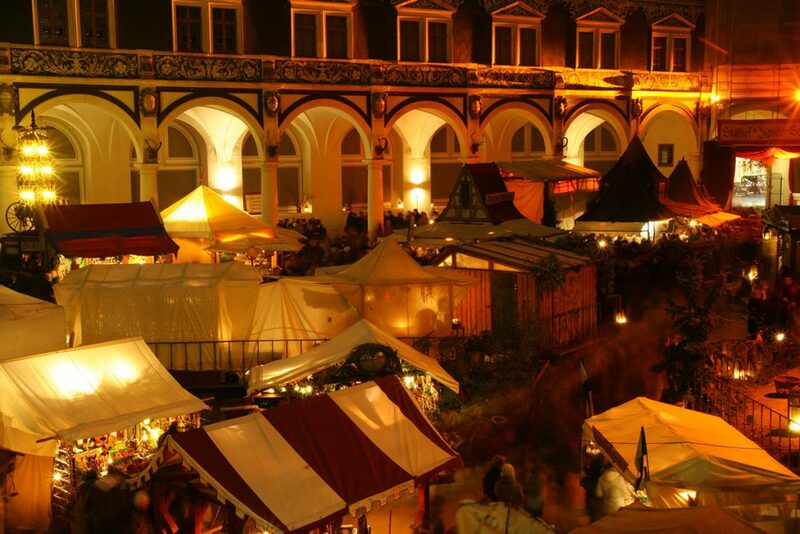 Either way, the famous Stiezelmarkt starts on November 24th and lasts until Christmas. Where to stay in Dresden? For me, there is only one place to stay in Dresden and that’s the Taschenberg Palais run by Kempinski. 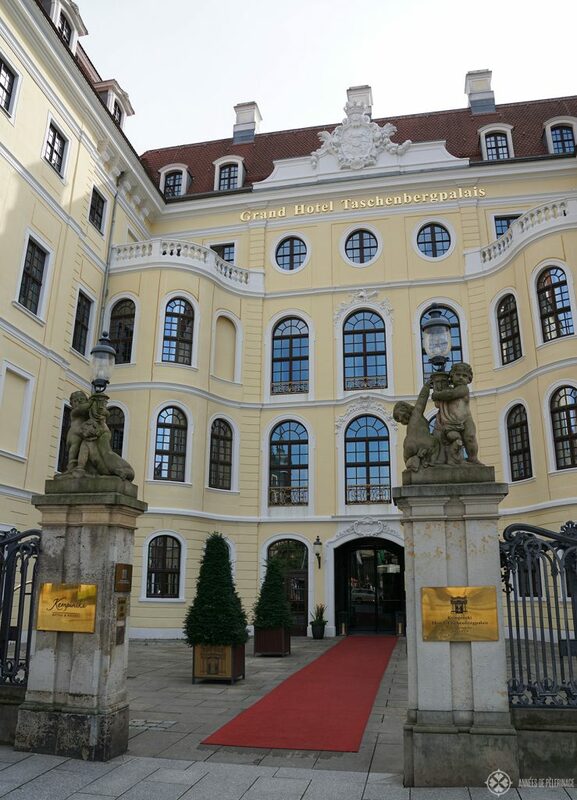 The unique luxury hotel is located in an old aristocratic palace right in the historic old town. All the major highlights are in a direct walking distance (100 meters or less). 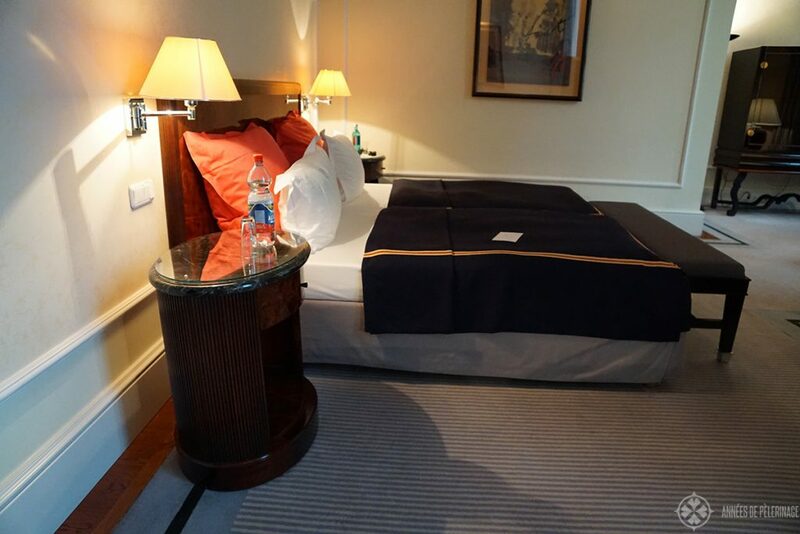 The rooms are spacious and the service wonderful. I also love the breakfast at the hotel and it even has a little spa with a pool. This is by far the best address in Dresden – both in terms of location and luxury. Probably not the cheapest, but actually not that expensive either as Dresden is not the most expensive city to start with. I always book it on booking.com as they seem to have a limited sale every other day for the hotel (not that I’d complain). If you are looking for something a little bit cheaper I can recommend the NH Collection Dresden Altmark. It’s some special kind of Novotel hotel but also located right in the middle of the old town. My uncle loves the hotel and I really have to admit it’s a good budget option. I also have to admit that I was never good at budgeting *grin*. 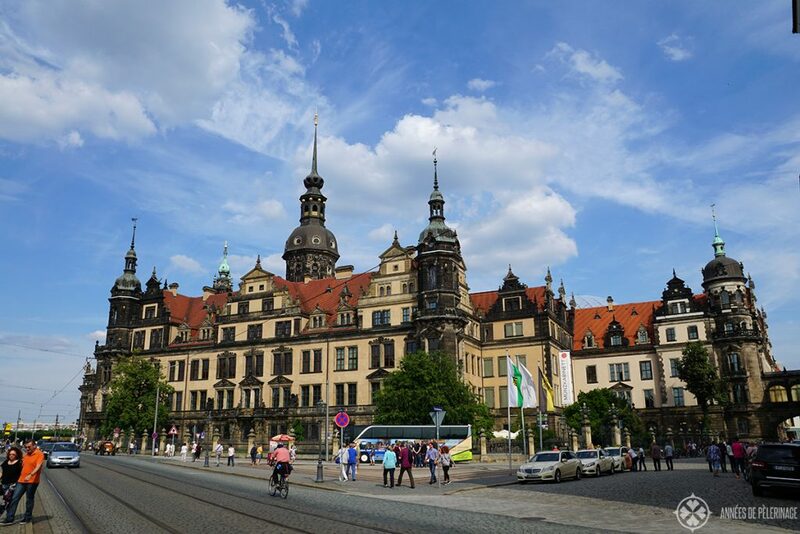 Now with all these things to do in Dresden you are probably wondering when is the best time to visit Dresden, eh? I already mentioned that December is a very good time, but the city will also be very crowded during that time. Over 2,5 million people visit the Christmas market, so I guess you can figure out the rest for yourself. The city is usually equally as crowded during the summer vacation months, meaning July and August. 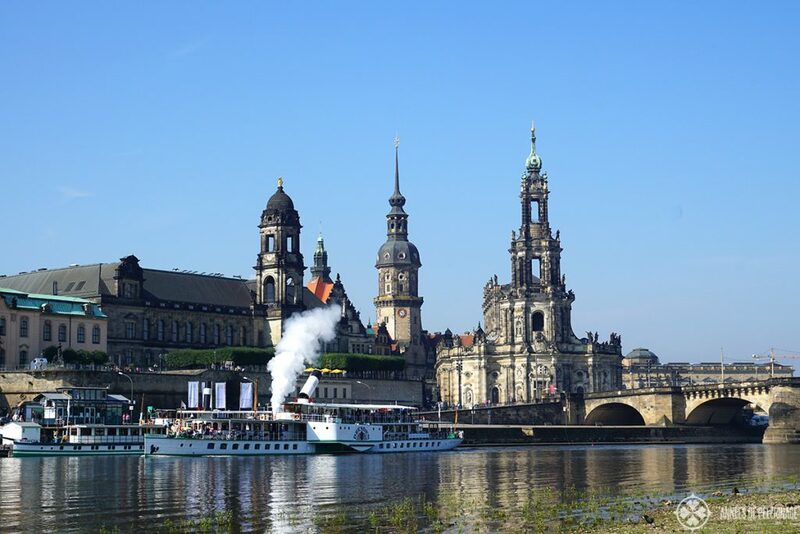 I’d say the best time to visit Dresden is September, as the weather is still very favorable, but both the local and international crowds are already gone. That being said, Dresden is really worth a visit throughout the year. There are so many museums and other indoor activities to ensure a fun time even on a rainy day. So that’s it. That was my little list of things to do in Dresden. Hope I was able to inspire you to visit the city. If you got any questions, do ask them in the comments below. Also, don’t forget to pin it for later! You should give the Glass Verks a mention where VW let you view the Phaeton luxury car being constructed . VW has ceased the production of the Phaeton and the Bentley at the glass factory. I have heard there are planing a new line of production, which will be a line of electric cars. Not sure if it has already started. oh that’s important to know. thank you for your input! Hello – would you still recommend these places even on winter? I’ll be in Wroclaw, Poland for five days and I have the entire day of February 17 to wander nearby countries/cities and I am thinking of going to Dresden by train in the morning and Prague also by train in the afternoon then go back to Wroclaw via the last train in the evening.